30 June 2017 I purchased my first ever VX! Ebony #0209! Plan for project: The plan is fairly simple. Prove that you can build a daily driver / Overland Vehicle without the need to drop $40,000+ on the base vehicle before you even get started, and look good doing it! 02 July 2017: Weather was wonkey, so I replaced the transmission filter, both pan gaskets, and new synthetic fluid. Also added 1 Quart of Lucas Oil "Transmission Fix". 03 July 2017: Removed more of the faux vinyl wrap. Still have Roof, Metal part of the hood, and plastic grill surround to do. 04 July 2017: Ordered Weather Strip for the exterior passenger door. 04 July 2017: Removed vinyl wrap from hood. 07 July 2017: Repaired driver door not opening from outside. 08 July 2017: Got three replacement keys made. 10 July 2017: Got license plates and went for first test drive. Break issue discovered. 11 July 2017: Unstuck dragging break caliper. New "groan" noise detected, attempting to diagnose. 13 July 2017: Confirmed order for weather trip for exterior passenger door. 13 July 2017: Diagnosed "groan", low transmission fluid, I didn't buy enough and it was lower than I thought. 17 July 2017: Conducted first shake down drive. 19 July 2017: Cleaned and polished headlight after removing headlight pod. 19 July 2017: Reinstalled headlight pods. 21 July 2017: Cleared all OBD2 Error codes but P0405 (EGR). 21 July 2017: Conducted General Maintenance around engine bay. 22 July 2017: Tranfer case fluid change complete. 22 July 2017: Discovered numerous leaks in the windshield washer system. 24 July 2017: Purchased Rear Break Pads. Storms Preventing Install Today. 30 July 2017: First attempt at installing OEM window seal failed. 31 July 2017: New front speakers on order. 31 July 2017: New head unit on order & waiting to ship. 31 July 2017: Clips for Window Strip on order, waiting to ship. 31 July 2017: Devious Plans still in development. 31 July 2017: Possible cause of 0405 error code found. 01 August 2017: Tried last possible cause of code 0405, failed. 04 August 2017: Replacement Head Unit finally ships. Finally! 05 August 2017: Head Unit and speakers arrived today! 07 August 2017: Head Unit Installed. Need to finalize mount. 08 August 2017: Head Unit Install complete. 25 August 2017: Ordered replacement half axles for the front. 01 September 2017: Installed new front brake pads. 01 September 2017: Installed new front axle half shafts. 01 September 2017: Inpected and repacked front wheel bearings. 01 September 2017: Installed exterior window seal clips. 25 September 2017: A/C system seems to be working normal again. 14 October 2017: Site was down, performing work log update. 14 October 2017: Installed new throttle position sensor. 14 October 2017: Installed new idle are control valve. 14 October 2017: Purchased a number of engine parts to install this weekend. 14 October 2017: Purchased Old Man EMU suspension (shocks and coils) to be installed this weekend. 14 October 2017: Began cardboard modeling of winch mount/off-road bumper. 14 October 2017: Removed/Replaced/Repaired more wiring. 15 October 2017: Lift Kit Installed, driver window motor quit. 21 October 2017: Replace Fuel Pressure Regulator on fuel rail. 22 October 2017: Replaced intake and throttle body gasket. 22 October 2017: Fixed driver window not going up all the way. 24 October 2017: Ordered the OEM VX CrossBars today. Hopefully they will ship on the 26th. 25 October 2017: New tires and alignment. 29 October 2017: Installed new intake manifold gasket. 30 October 2017: Fixed high idle issue! Yay! 31 October 2017: OEM Yakima Roof Bars for the VX installed. 10 November 2017: Installed a Reese Roof Basket, Phone Mount, and a 2nd new upper intake manifold gasket. 24 November 2017: Completed CB Radio Install. 25 November 2017: Purchased Winch. Curt Hitch Arrived. 10 February 2018: Window Washer leaks seems to have fixed themselves. Probably dry seals. 16 February 2018: Dropped at a shop for an entire engine workup. 24 February 2018: Did the SeaFoam clean due to an EGR related CEL, codes staying clear for now. 07 March 2018: Pulled and cleaned the “Mode Selector/Neutral Safety Switch”. 17 March 2018: Replaced all five shift solenoids. 17 March 2018: Replaced the transmission mount. 17 March 2018: Replaced the transmission filter. 25 March 2018: 1st Successful test drive with no issues what so ever. 30 March 2018: Finally changed the spark plugs. 31 March 2018: Drilled the plastic “grill” to allow winch clutch access. 02 April 2018: Got dash switch mount inserts. 06 April 2018: Attempted a “window” fix, passenger side. New regulator required. 12 April 2018: Greased window tracks both sides. 21 April 2018: Purchased A/C Condesor Fan. 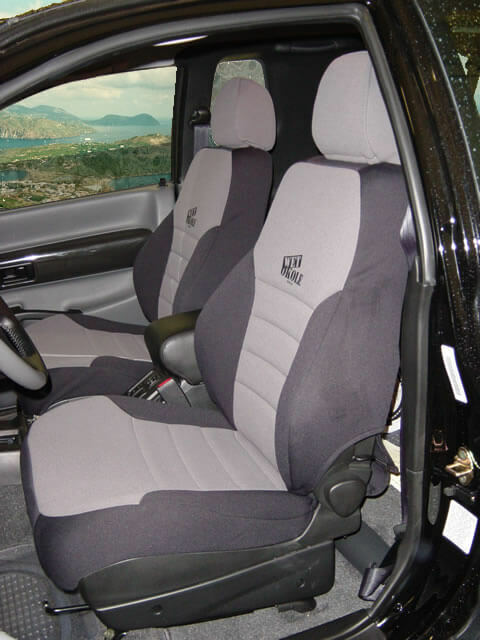 21 April 2018: Purchased Heated, Leather, Power seats. 01 May 2018: Purchased In Channel Rain Gaurds. 04 May 2018: Installed WeatherTech In Channel Rain Gaurds. 25 May 2018: Reinstalled A/C Condenser Fan. 25 May 2018: Installed wireless winch controller. 25 May 2018: Removed after market car alarm. 25 May 2018: Removed Rear Seat. 26 May 2018: Test fit replacement seats. Failure. 31 May 2018: ABS System repaired. 06 June 2018: Repaired Passenger Window Function. 28 October 2018 Finished Shift Shaft Seal replacement. 23 November 2018 Replaced lower intake manifold gasket (drivers side failed). 23 November 2018 Discovered failing MAF. Will attempt to clean before replacing. 30 November 2018 Installed new MAF. 31 December 2018 installed new TPS. That's all for now. I have more pictures on my PC at work and I will post them sometime after the long weekend. peel the sliver stripes off the cowl cover. they're already peeling anyways. Jo and I would probably both recommend just getting WO seat covers. 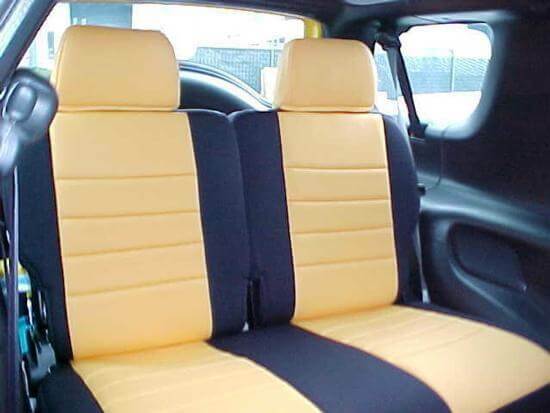 You can have the stock ones recovered, but you can WO's, which are waterproof, don't require nearly as much care, and come in virtually any color you want. OEM badges are non-existent. Reproductions are sometimes available, but they're not in relief. Pulling stock decals off another VX is virtually impossible. I plan to Line-X over my stock ones. Make sure you treat the headlights with some kind of UV coating after you get they bright/shiny. In my experience, they yellow even faster after you de-yellow them the 1st time, because all the UV protectant gets taken off. I've got covers on mine, which hides the yellow, protects the stock light, and looks a bit more menacing than the stock light shape. Also put in LED headlights. They're WAY brighter than stock, and (imho) largely eliminate the need for any secondary lighting. Last but not least, Curt hitch is the most widely available. Many have Tone's--and there's nothing wrong with it. However, Tone's is next to impossible to find, and not officially rated for capacity. Here's mine, with a Super-Bumper & spare receiver installed. Kat was the one who sold me on the idea of the Superbumper, and frankly--versus the idea of having my car totaled from a rear-end at 4mph (parts are impossible to find) , I'll take the Superbumper any day. 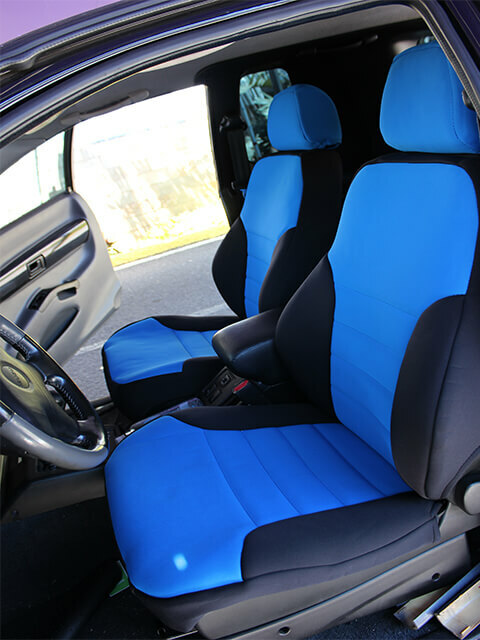 I have been look at the WO seat covers. I really like them, but have never actually seen them. Any issues? DO they breath so you don't get covered in your own sweat? Good call on the LED Lights. AFter cleaning them up I was thinking of covering them in clear UV resistant plastic. I have seen it done before, but I don't how long that will last. For the trailer hitch, you are right about the Curt being the most popular. I was starting to think it may be the only one available. LOL! There are also quite a few other minor parts I am looking for. The faux carbon fiber door panel part on my drivers door has a massive crack running through it. Both door handles and door panels need to be reconditioned/fixed/replaced. I still need a copy of the one key I have. Should probably get the key fob (or two) as well. One of the front yellow reflectors is cracked. The list goes on LOL! Rather than replace my door handles, (they come loose when the tabs break off) I used a pair of these. I think i got large, but medium should work and fit better. Cut them in half in the middle, and velcro them to each other so they're twice as wide--then wrap around the inside door handle. Not perhaps the prettiest solution, but subtle, viable and eliminates the need to think about it. IMHO, good idea so you can focus on other, more pressing matters & re-attack it later if you so choose. OEM 15" Snowflake wheels would be a great touch...be careful with your wheels...lots of wheels say they fit but they don't because of our calipers. What are snowflake wheels ... google doesn't seem to know that one. I was thinking of the classic black steelies that's were popular in the eighties. Welcome to the community and good luck with the build. FWIW, I DD my VX and have done much of what is in your list and then some. I still smile every time I climb in. Tonight I pulled off more of the faux carbon fiber vinyl wrap off the VX. Pulling wrap off of the plastic hood insert has probably been the worst do so far. Took me longer to do that one small piece than I have spent pulling it off the rest of the body. It was just so brittle that every single piece was smaller than a quarter before it would break off. Although, for the metal that is wrapped, I have discovered the wonders of a heat gun. All I have left is the metal part of the hood, the roof, and the grill surround. This has been a bigger PITA than working on the transmission! LOL! But work continues. I also tried to get the title transferred today, but forgot a document. With the holiday it will be later in the week before I can get it transferred and get plates. Ordered the lower window weather strip for my passenger door. I hope I got the right part anyway. Assuming I did, what type of glue/adhesive is used to secure it to the door body? I start working night shift tonight so I had to stay up all night anyway to get my sleep schedule adjusted. Since I was up anyway I decided to go ahead and take the vinyl off the rest of the hood. I can't believe just how bad this vinyl wrap is. Maybe it is just very old. I really don't know but it did not stand the test of time. After this experience I don't think I will ever wrap a vehicle. Well, not unless I know it is going to be a temporary wrap anyway. While working, I was thinking of what color to paint the VX. I should probably start a poll for this, but I only ever see a few people on here and not sure what kind of response I would get and the paint is probably a month out. Anyway, I was thinking desert tan/sand/something or other. The wrap was covering some minor dings that look like hail or maybe small stones on the hood. I have discovered that wrap can coverup a lot of errors in body work. I am hoping that the roof isn't covered in small dents as well, but I won't know until I get the wrap off. I also discovered that the damage to the drivers fender isn't as bad as I thought and I should be able to fix it with a little bondo work. What I thought was a crater turned out to be two small(ish) dents. Unfortunately each has a crease in the center of the dents, which means no way to fix the metal. So I either need a replacement, or some some minor body filler work. The body filler seems the cheaper route since I am going to be painting anyway. I'll try to get some pictures up when I can. Converting my covered parking into a paint booth should be fun, and it will also give my wife a chance to yell at me about making more of a mess! LOL!